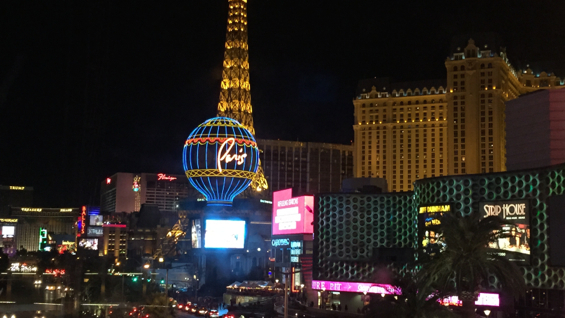 Many of our team members attended Affiliate Summit West at Paris Hotel and Casino in Las Vegas earlier this week. We always consider this conference a valuable way to meet with partners face-to-face, and enjoyed seeing so many of you there! Setting up for our ePN Happy Hour at The London Club at Planet Hollywood. We kicked off ASW by hosting a happy hour event for current and potential partners during the first day of the conference. We saw a good mix of new and familiar faces, and our team members shared their expertise by speaking 1:1 with partners who wanted to know more about how to optimize their ePN participation. John Toskey and Oliver Roup discussing partnership on the panel. Moderator Ethan Davidoff with panelists John Toskey, Oliver Roup and Jessica Spira. A highlight of our second day at ASW was the panel presentation moderated by Ethan Davidoff of RiskIQ featuring insights from ePN’s John Toskey, Oliver Roup of VigLink and Jessica Spira of Ziff Davis. The theme of the presentation was creating unique partnerships to help drive publisher success, and the three panelists covered topics including how publishers can initiate partnerships, attribution challenges and the importance of transparent communication. Nico Sanchez, Kelly Caird and Sejal Patel explore the Affiliate Summit Exhibit Hall. Shayna Massey, Gianfranco Ludovici, Olivier Ropars and John Toskey chat with partners. Liz Morris and Joe Michiels chat with partners at Affiliate Summit. The exhibit hall and surrounding areas were full of activity throughout the three days of the conference, the educational sessions were insightful, and the networking opportunities were abundant. We value all the feedback gleaned from speaking with partners in person, and appreciate everyone who took the time to attend our happy hour and attend John’s panel presentation. We’ll see you next time! Have A Drink On Us at Affiliate Summit! UPDATE 1/3/15: Thank you to those that RSVP'd. Our list is currently closed. We look forward to seeing you at Affiliate Summit West! Are you heading to Las Vegas for Affiliate Summit West next month? If so, we’d like to invite you to be our guest for a casual happy hour event. We’ll mingle over food and drinks, with members of our team in attendance to answer any of your questions. We’ll chat about topics related to getting started and increasing success with eBay Partner Network, from the application process to tools to promotions. Attendance is limited, so if you’re able to attend, please RSVP here by Jan 2.